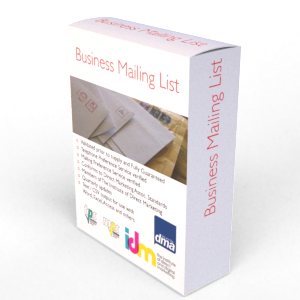 The very latest list of Manufacturing Companies that can be used for direct marketing including Sales & Marketing. Prior to supply, the Manufacturing Companies will be screened against the very latest Mailing & Telephone preference files as well as our own 'do not contact' file. There are two classification systems for identifying Manufacturing Companies. The count of 176,130 is based on Section C SIC (Standard Industrial Classification 2007 for Manufacturing - as used by the Government to define Manufacturing Activity for UK businesses). A better and user friendly system is the Yellow Pages Classification System. If you would like to use the YELL system then have a look at their classifications and let us know which ones you would be interested in ordering (send us a list using the brief us button below). All of the records we supply will have been telephone verified to confirm the details we release to you. This ensures the information is current and that the Manufacturing Companies are all trading. Rather than take the entire list of Manufacturing Companies (there are over 176,130 in the UK) you can select by a specific area such as a Postcode or County. In addition you can request certain employee sizes or turnovers. There are an additional 250 or so fields to use when refining the list you require.